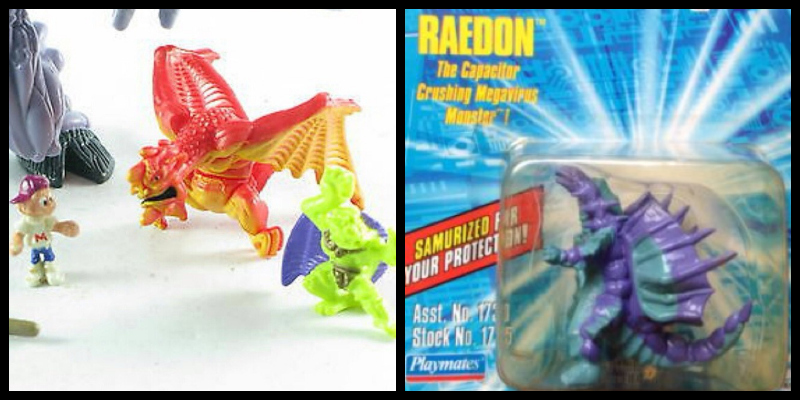 Little Weirdos: Mini figures and other monster toys: Unidentified plastic dragon minis: cereal premiums, bootlegs? 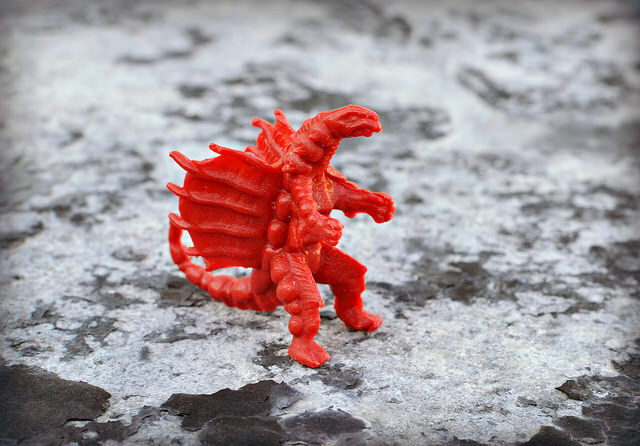 Unidentified plastic dragon minis: cereal premiums, bootlegs? 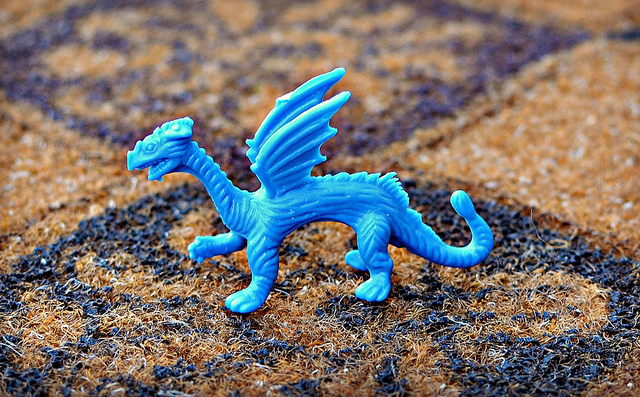 Recently, I was browsing eBay when I came across a set of dragon mini figures I had never seen before. Even though I didn't know what they were, these cheap-looking monochromatic beasts called to me, and I had to snag 'em! 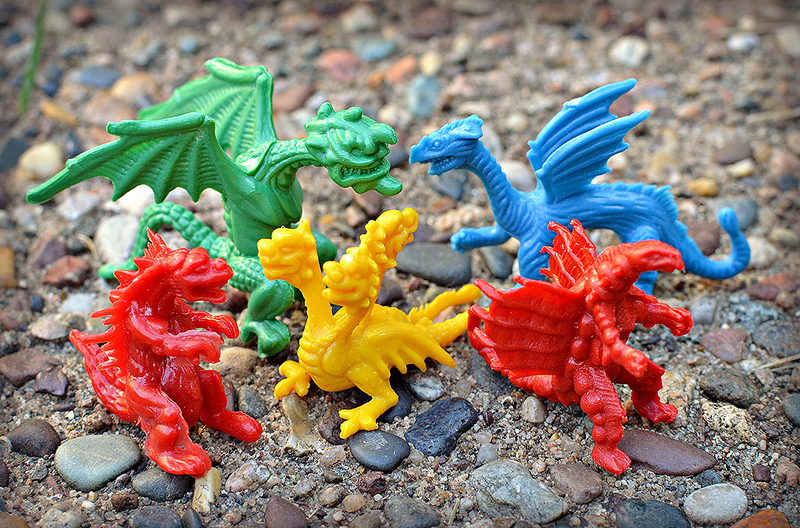 There are five different dragons in the set, with a nice variety of types and sizes. For example, some of them look more kaiju-like while others have a more medieval thing going on. 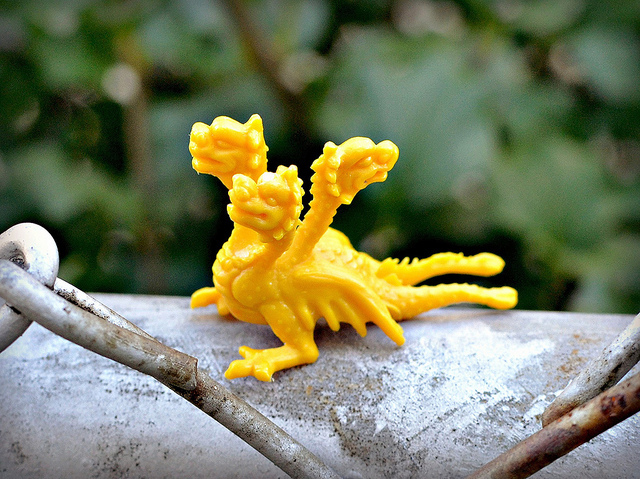 They are made of a hard, light plastic and come in four colors—red, green, yellow and blue. This three-headed basilisk-type thing is my favorite. When it comes to dragons and monsters, the more heads, the better. Plus, the sculpt is just really awesome. These figures all appear to have come in more than one color (for example, you could get this sculpt in red, green, etc), but I love the way this one looks in yellow so I'm happy with what I got! Here's the Raedon imposter. I like the cragginess of the sculpt. 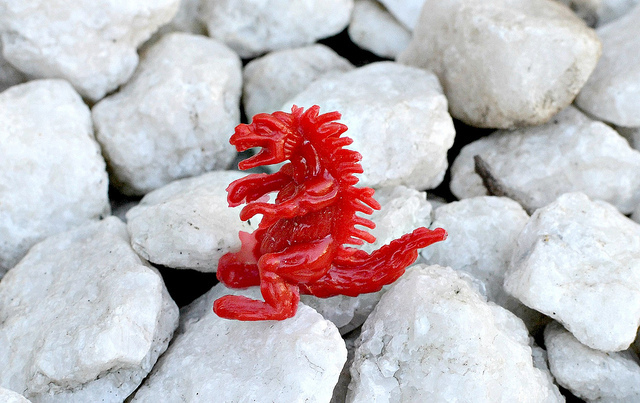 This is the one that looks nearly identical to the Mighty Max dragon sculpt I mentioned above. I imagine this guy to be the boss of the group because he's so much larger and meaner looking than the rest. This is probably my second favorite of the set, behind three-headed basilisk. Here's the dragon I think is the most medieval-looking of the bunch. He looks like a beast pulled straight from an ancient crest or something. Finally, we have the smallest figure of the set. It sort of looks like it could be Raedon's baby. You've got to love this little bugger. What do you think of these things? 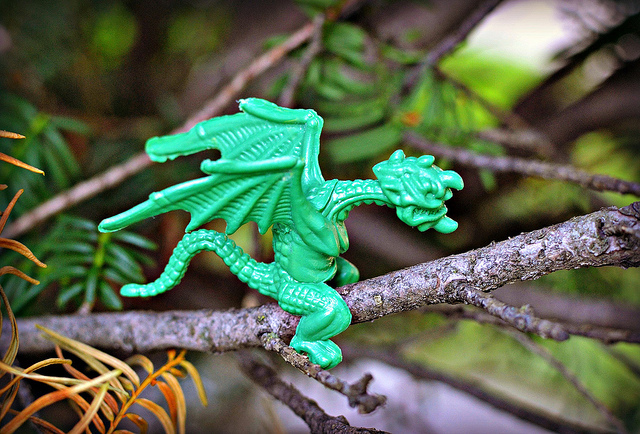 Do you recognize any of the other dragons as being knock-offs from anything else? If anyone has any additional information about these figures, please let me know! These are nice looking! Always fun to discover something new in bootlegs or knock-offs. Yeah, when I found these I was surprised I had never seen them before, but then again there seems to be an endless supply of little weirdos to discover. Thanks for reading and thanks for that link! There definitely seems to be a connection there. It's seeming like all of these dragons might have been knocked off from something else.